When a woman is looking to boost her breast size, as well as her confidence, breast augmentation surgery can be the best solution since silicone or saline implants are added into the natural breasts to increase the volume as well as improve the shape. Dr. Karol Gutowski, a Chicago Breast Implant Specialist is renowned for his results with more than 20 years of experience. During the consultation, Dr. Gutowski takes the time to educate the patient on a variety of implant options and techniques, as well as devise a specific treatment plan to help a woman achieve her desired look. For women who want a fuller breast size, but desire a natural option, an autologous fat transfer procedure can be performed to acheive this. Natural fat graft breast augmentation involves taking fat from one area of the body, such as the tummy, buttock or hips, and safely purifies and then injects it into the breast until the desired size has been acheived. Today's fat transfer methods are safe and effective and have grown in popularity due to advanced medical breakthroughs in both liposuction and fat grafting. 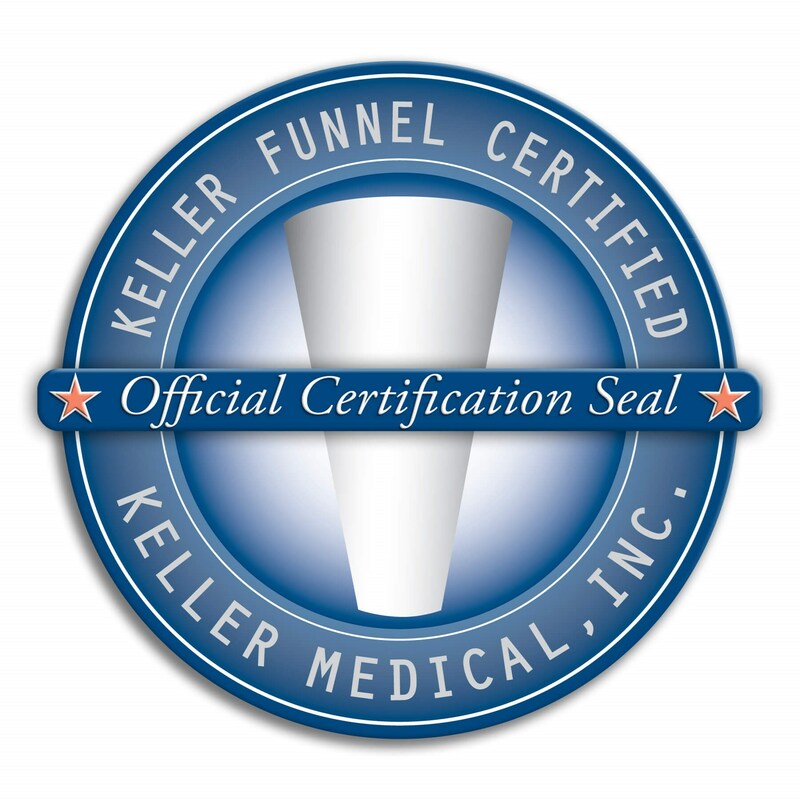 Dr. Karol Gutowski is proudly certified for the use of the Keller Funnel. The Keller funnel empowers surgeons to deliver implants easily and safely, with a "No-Touch" technique. Dr. Gutowksi's certification signifies he has been trained in use of this device in order to better deliver a more natural looking result. "I just did a breast augmentation with Dr. G, and had an amazing experience. I had two consultations with him prior to surgery and immediately felt comfortable with him as well as his staff. He is a genuine person and answered all my questions. I am so happy with my results too. I was nervous before and he did an amazing job. I wanted a small augmentation, going to just a full B cup and that's exactly what I got. They are perfect and I couldn't be more please. I would highly recommend him any day"
"26 Years Old, 5'8", 130 Lbs, 425 Cc High Profile - Chicago, IL - A week from today I will be getting breast augmentation! I go in for my final appointment tomorrow and I picked up all of my meds at the pharmacy yesterday. I'm so nervous but excited! Right now my size is a Victoria Secret 32B. I am getting 425cc silicone, high profile, under the muscle implants with incisions under the breast. I have found Realself to be such an awesome tool in helping me decide what size/type of implant and also helping me find women with similar body types who have undergone augmentation to give me an idea of what I'm looking for! I can't wait to share the rest of my journey with you guys." "Breast Augmentation and Lipo to Thighs, Calves, Ankles, Stomach and Love Handles - Chicago, IL - I went to two other board certified plastic surgeons before meeting with Dr. G.The first doctor has his sales associate meet with new patients and peform the exam. I left the office with a quote and there was no mention of who would be performing the surgery. The other had me wait in his waiting room for an HOUR and was so rude and arrogant, there was no way I would have wanted him to perform such a personal surgery. Dr.G was not only the most down to earth, easy to talk to plastic surgeon I've met, but doctor in general. He runs his office on time which I feel is very respectful of his patients time. He listened to my concerns and was quick to answer his email with any questions I had. I am absolutely thrilled with my results and I am so thankful that I found him on RealSelf. - - I've always had an issue with excess fat on my legs from my hips to my ankles. My upper body has always been fit and somewhat muscular but I never have been able to acheive that in my legs. So after having 3 kids including one over 40 I decided to see a plactic surgeon about my deflated breasts and address the hatred I've always had for my legs. I found an excellent doctor here on RealSelf. He listened to my concerns, anwsered all my questions and we scheduled the surgery.Everyone at the surgery center was very nice and my after care nurse was just phenomenal. Post op was real rought the first few days but by the one month mark I felt pretty much back to normal and by the second month I was back to normal. I am three months out now. I went from a small B to a full C with 350cc Ideal Implant (no lift) and lost 2 pant sizes. My calves and ankles have never been as small and defined as they are right now. I am absolutely thrilled with my results and would do it again in a heartbeat." "Mommy Makeover-Breast Augmentation and Lipo to thighs, calves, abs and flanks - I went to two other board certified plastic surgeons before meeting with Dr. G.The first doctor has his sales associate meet with new patients and peform the exam. I left the office with a quote and there was no mention of who would be performing the surgery. The other had me wait in his waiting room for an HOUR and was so rude and arrogant, there was no way I would have wanted him to perform such a personal surgery. Dr.G was not only the most down to earth, easy to talk to plastic surgeon I've met, but doctor in general. He runs his office on time which I feel is very respectful of his patients time. He listened to my concerns and was quick to answer his email with any questions I had. I am absolutely thrilled with my results and I am so thankful that I found him on RealSelf. - - I've always had an issue with excess fat on my legs from my hips to my ankles. My upper body has always been fit and somewhat muscular but I never have been able to acheive that in my legs. So after having 3 kids including one over 40 I decided to see a plactic surgeon about my deflated breasts and address the hatred I've always had for my legs. I found an excellent doctor here on RealSelf. He listened to my concerns, anwsered all my questions and we scheduled the surgery.Everyone at the surgery center was very nice and my after care nurse was just phenomenal. Post op was real rought the first few days but by the one month mark I felt pretty much back to normal and by the second month I was back to normal. I am three months out now. I went from a small B to a full C with 350cc Ideal Implant (no lift) and lost 2 pant sizes. My calves and ankles have never been as small and defined as they are right now. I am absolutely thrilled with my results and would do it again in a heartbeat." "Extremely Pleased with Results!!! - I had a consultation for breast augmentation and liposuction with a few surgeons. I could tell that Dr G and his staff were the most caring and experi ..."
The use of one’s own body tissue that does not require replacement in the future, unlike implants which may break after many years and need to be replaced. It allows the surgeon to place the fat in specific areas and fill out only the upper part of the breast if needed. Breast implants do not allow for selective augmentation. Injected fat is more likely to feel and look more natural than a breast implant. Since man-made material is not used, there is no risk of capsular contracture (an internal scarring problem) than may happen with breast implants. Fat transfer may not provide enough volume to result in a significant breast enlargement. Most women who have breast implants choose sizes that are greater than 300 cc (about 10 ounces of volume), and more likely to be greater than 350 cc. Fat injections have been resulting in only 250 cc to 300 cc improvements at most. Fat transfer requires surgery on another body part to remove the fat. Thin patients may not have enough fat to result in a significant increase in breast size. To optimize the fat graft process, some patients use the BRAVA system for a few months before surgery to “pre-expand” their breast tissue. This adds additional cost and inconvenience to the procedure. Not all of the transferred fat may survive and the breast may become smaller over time. Repeat procedures may be needed. The transferred fat may increase or decrease in size if the patient gains or loses weight. Although there is variability, fat transfer tends to be a longer procedure and may cost more compared to the use of breast implants. Price for this procedure depends on the specific implants selected and time required to do the procedure. An augmentation typically costs $6500 to $7900. If a breast lift is needed at the same time, it may cost an additional $2000 to $3000. This includes all professional fees, facility fees, and implant costs.